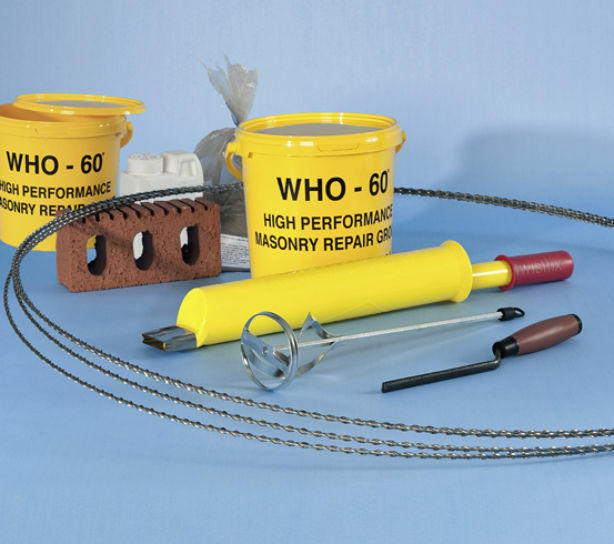 Lintel repair kit for retrofit masonry reinforcement of brickwork above window openings. The system uses 3.5m helical bars to span windows up to 2.5m wide. 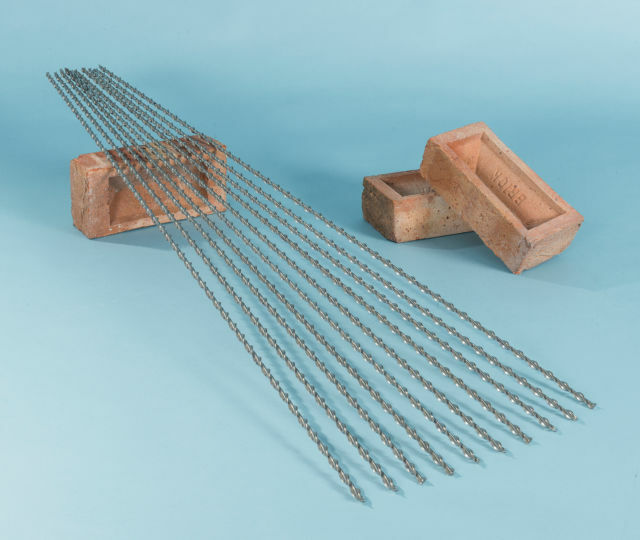 Two mortar beds, separated by 450-900mm are reinforced, each with a pair of high tensile stainless steel helical re-bars embedded into the wall with masonry repair grout. The patented bars are encased 500mm beyond each side of the opening. The reinforced bed joints form tendons that represent the upper and lower flanges of a brick beam or wall lintel. Utilising the surrounding masonry, one tendon carries compression and the other acts in tension. The reinforced brick beam lintel has a typical load carrying capacity of 2.6 tonne (BRE Calculations). Download the BRE Load Tables using the 'related reading' tab below. 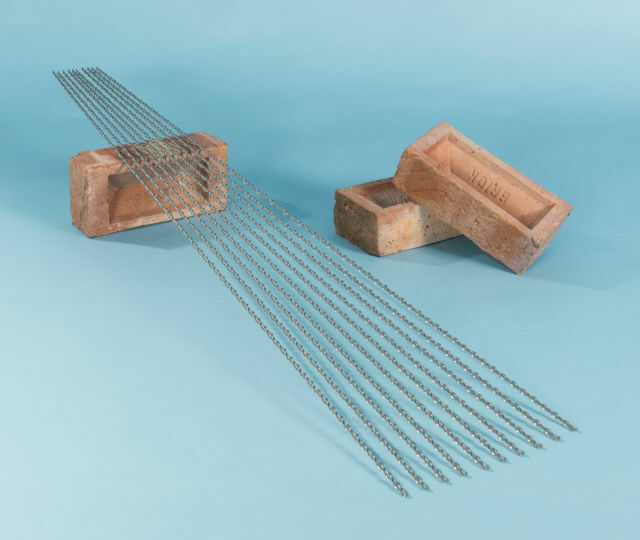 For ease of transpor­ta­tion the 3.5m lengths of lintel repair bars are packed in a loop. The masonry reinforcement may retain some memory-bend when un-coiled.